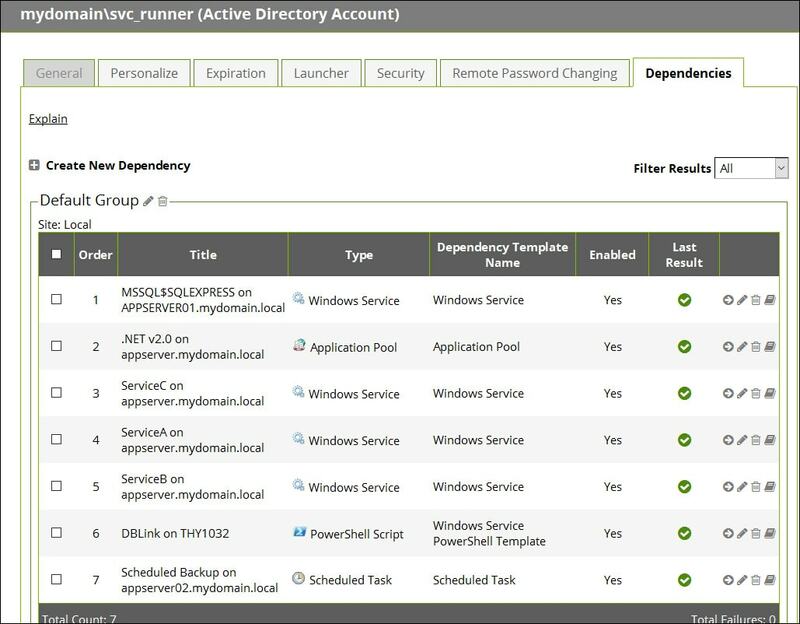 Find and control unknown service and application accounts with Secret Server’s Discovery and credential management. Keeping accounts for different services, tasks, and other applications in sync can be time consuming and error prone when done manually. Administrators can’t safely change a service account password if they don’t know where it’s used without risk of bringing down other applications. As a result, service and application passwords are often set to never expire and keep the same password for years at a time. Not changing service account passwords represents a significant security risk as these accounts often have access to sensitive data and systems. With service account discovery and management, Secret Server automatically scans for applications using a service account on the network, and can automatically link up dependent services and applications. When a password change is scheduled Secret Server updates all the dependent applications with the new password. Discovery continually runs to ensure any applications created since the Secret was created are brought under management and kept up to date. The update workflow is customizable, Secret owners can set delays and modify the order in which Dependencies are updated. If there are maintenance windows when a password change is allowed to occur, admins can specify a change window to prevent potential interruptions during operating hours. For applications that aren’t supported out of the box, administrators can create PowerShell, SQL, or SSH scripts to run as custom actions. 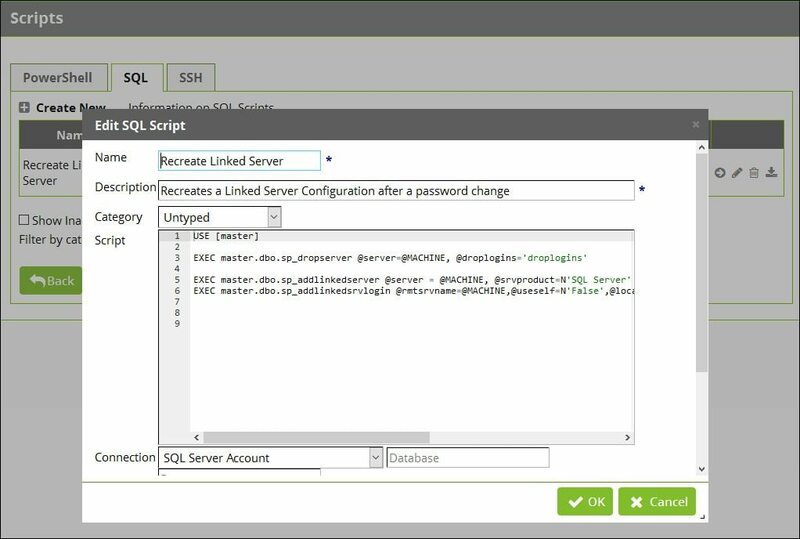 Extensible dependencies mean that even custom applications with stored passwords or credentials can be kept up to date, such as a password hash in database or updating a database linked server.